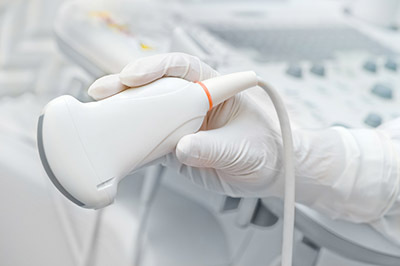 Ultrasound uses reflected sound waves to produce a picture of the organs and other structures in the body. Occasionally a specialized ultrasound is ordered for a detailed evaluation of a specific organ, such as a kidney, ovary or other areas of concern to your physician. Abdominal aorta – The large blood vessel (artery) that passes down the back of the chest and abdomen. The aorta supplies blood to the lower part of the body and the legs. Liver – A large dome-shaped organ that lies under the rib cage on the right side of the abdomen. The liver produces bile (a substance that helps digest fat), stores sugars, and breaks down many of the body’s waste products. Gallbladder – A saclike organ beneath the liver. The gallbladder stores bile. When food is eaten, the gallbladder contracts, sending bile into the intestine. Spleen – The soft, round organ that helps fight infection and filters old red blood cells. The spleen is located to the left of the stomach, just behind the lower left ribs. Pancreas – The gland located in the upper abdomen that produces enzymes that help digest food. The digestive enzymes are then released into the intestines. The pancreas also releases insulin into the bloodstream; insulin helps the body utilize sugars for energy. Kidneys – The pair of bean-shaped organs located behind the upper abdominal cavity. The kidneys remove wastes from the blood and produce urine. Pelvic (Gynecological) – Evaluates the structures and organs in the lower abdominal area (pelvis). Thyroid & Parathyroid – Evaluates the thyroid gland. Ultrasound interpretations are performed by radiologists located at Highland Hospital. Once the results are received in our office and your physician has had the opportunity to review them, you will be notified by telephone or mail of any recommendations. 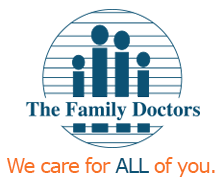 The radiologists will bill your insurance plan on your behalf. Depending on your insurance coverage, you may receive a separate bill from the radiologist.